The Aurelia 1 Carat Round Prong Set Halo Scalloped Pendant Necklace makes a wonderful addition to your jewelry collection. 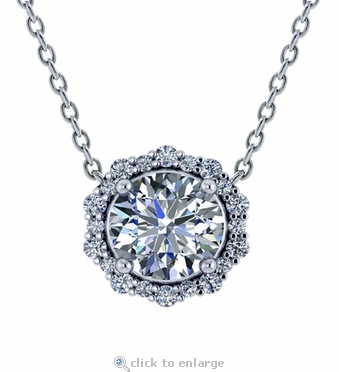 This gorgeous diamond look pendant can be worn on a casual day to day basis to dress up your wardrobe and it can also add that perfect touch of brilliance for a fancy evening. 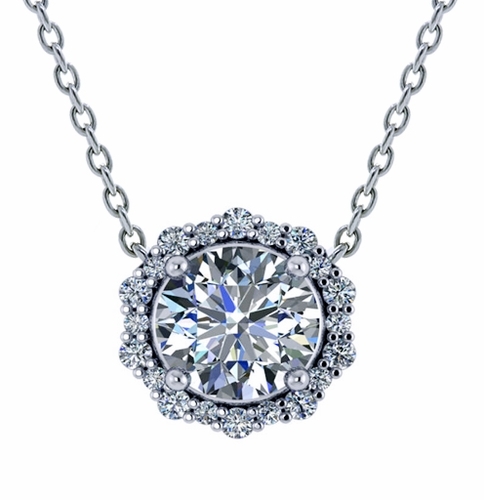 The pendant features a 1 carat 6.5mm round center stone. A delicate fine rope chain is affixed and attached to each side of the halo. 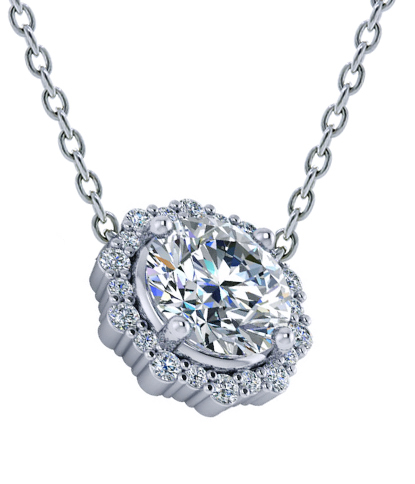 This 1 carat round prong set pendant necklace measures approximately 10mm in diameter. Center stone color options include white diamond look, red ruby, blue sapphire, green emerald, canary yellow and pink diamond look. Metal options include 14k white gold and 14k yellow gold. Choose from a 16 inch fine rope chain or an 18 inch fine rope chain length. For further assistance please call us directly at 1-866-942-6663, option 2 or visit us via live chat and speak with a knowledgeable representative.